After reading this, it's not so strange why it's monkeys' favorite food. They sure know what's good for them! And now I know where they get their energy. Plus... I found a good justification for eating banana-splits, haha. "Bananas Contain three natural sugars - sucrose, fructose and glucose combined with fiber. A banana gives an instant, sustained and substantial boost of energy. Research has proven that just two bananas provide enough energy for a strenuous 90-minute workout. No wonder the banana is the number one fruit with the world's leading athletes. 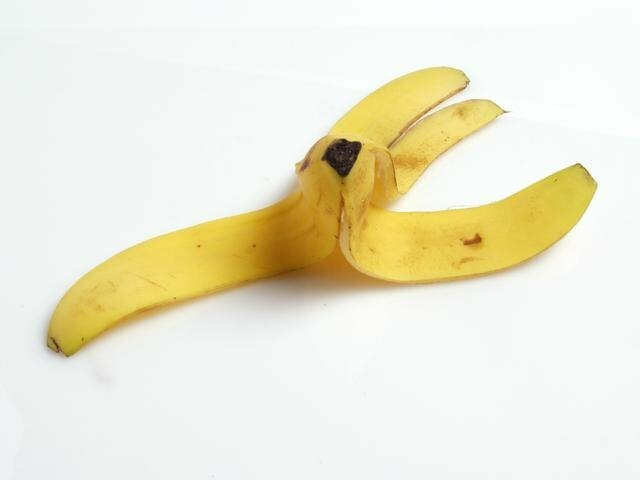 But energy isn't the only way a banana can help us keep fit. It can also help overcome or prevent a substantial number of illnesses and conditions, making it a must to add to our daily diet. The vitamin B6 a banana contains, regulates blood glucose levels, which can affect your mood. Bananas are extremely high in potassium, yet low in salt, making them the perfect way to beat blood pressure. So much so, the US Food and Drug Administration has just allowed the banana -industry to make official claims for the fruit's ability to reduce the risk of blood pressure and stroke. Many other cultures see bananas as a "cooling" fruit that can lower both the physical and emotional temperature of expectant mothers. In Thailand , for example, pregnant women eat bananas to ensure their baby is born with a cool temperature. Potassium is a vital mineral which helps normalize the heartbeat, sends oxygen to the brain and regulates your body's water balance. When we are stressed, our metabolic rate rises, thereby reducing our potassium levels. These can be rebalanced with the help of a high-potassium banana snack. If your roses are covered with Aphids, drape banana skins over the branches, It's amazing, but in a day or less, they are GONE!" ~Thanks to Ron for this information. I always find it amazing how God connects everything. Just think for a minute... Every little fiber in our body has it's own function. to make it all work together, is an incredible, complicated work of art. And then, to keep that body functioning, everything we eat, that God created to nourish us, contains all we need! We may not always want it, or have a taste for it and we often try something different, just to find out we messed up God's perfect work and plan. Sounds like I'll need a bushel to get me through 'til Spring finally shows up! BANANAS >>> I just got through eating a banana sandwich and some fried chicken ? >>>delicious<<< Blessings. Ron. Sounds like we are in the same (banana-)boat. I have been feeling like that for a week now, yuck. And spring is already here! I guess I am not a spring-chicken anymore, hehe. Your bananas? YOUR bananas??? Hmmm Miss Cloudy, what happened to "share with one another"? Teasing you, girl. I just couldn't resist. hehe. It's our turn to go to the (Wal)-market and get some health-stuff. We keep putting it off cause we don't like going there, but you just can't beat their prices. How is your walking coming along? I pray it's improving by the day! (((HUGS))) and many blessings to you! Corry ,that is reason I go to walmart once a month whether I need to go or not ? I like to visit our local farmers market for my vegies and fruit cause we have know the folks about 30 years and they give me a good price ? Let me tell you an experience that happened the other day ? I went to the little corner store and went in and made purchase and when I started to leave I left my cane standing by counter and was walking out the door when I heard the lady hollering at me and telling me I forgot my cane ? MADE ME FEEL SO GOOD, But that particular day was one of them exceptional days ? [ GOD IS GOOD ? ] Blessings. Ron. Wow that is great! Praise The Lord!! I hope and pray you will forget your cane many more times. May God bless you with many more exceptional days. I too love banana bread and banana nut muffins, and banana milkshake and... and.. and I got to stop now. I am starting to drool all over my keyboard, hehe. Hey, jel, did you call me? just kidding. Great post, Corry, you told me what I didn't want to hear. I am not a banana lover, but now I know I need to be. :) I bought some today and I am going to try to eat them, sigh, again. Have a good one! You're so smart lieve zus. Nah, I only read bananas are good for fighting depression and improve the mood. Not so difficult then to put two and two together, hehe. this is amazing! i am going to eat more bananas! God spoils us! thanks for this post! Angela ps I linked this to my site! Thank you so much for the links on to my site. I appreciate it very much! one more thing.... you have a very good hand at drawing!! When I was taking homeopathic medicine, I was told to stay away from caffeine. So.. no coffee and no cola. I guess every homeopathic medicine has a different thing that could counteract their benefits. For you it is bananas. I hope your Arthritis is getting better and I will remember you in my prayers. I've moved to Asia and here they say that if you have arthritis, you should avoid bananas. But plantains will actually be fine, they say. Does anyone know the difference? Why would bananas increase the pain in your joints when the smaller versions wouldn't? Thanks.